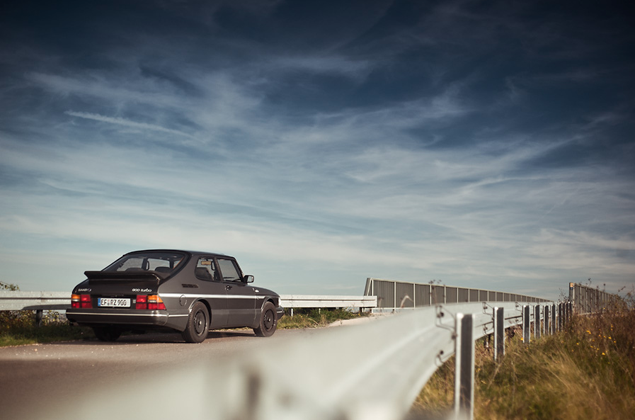 Growing up, I was exposed to a slew of cool European cars—German, British and Swedish. We owned a navy blue Saab pre-900 coupe when I was about 11 years old. It was this strange vehicle with bizarre seat belts and a this kinda-sorta-aerodynamic profile. But even at that young age, I dug it. 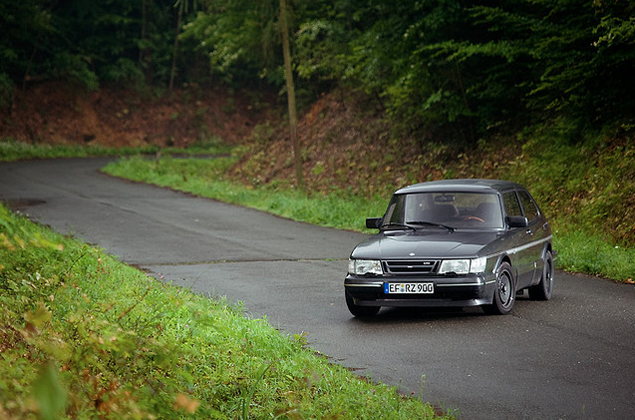 Unfortunately, that particular car ended life with a Saab story of its own. 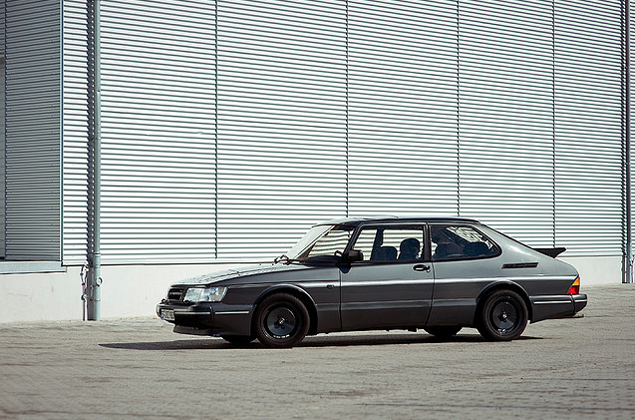 There was this kid in high school whose dad owned an amazing early nineties Saab 900 Turbo. It was all black with these amber-lensed fogs that hung below the front bumper and black louvers across the rear window. My junior year, his dad won the New York State Lotto, bought a Porsche or something and gave his son the Turbo. Yeah, it was not awesome standing at the bus stop while that dood cruised by me at warp speed every morning. A group of Russian exchange students came to our school for about a month that year. And the Russian principal stayed at the Saab kid's house. He chauffeured the visitor to school, so of course he got a special pass to park right in front of the school next to our principal's spot. For some reason I saw that Saab parked there long after the Russians had gone home. Insult to injury. 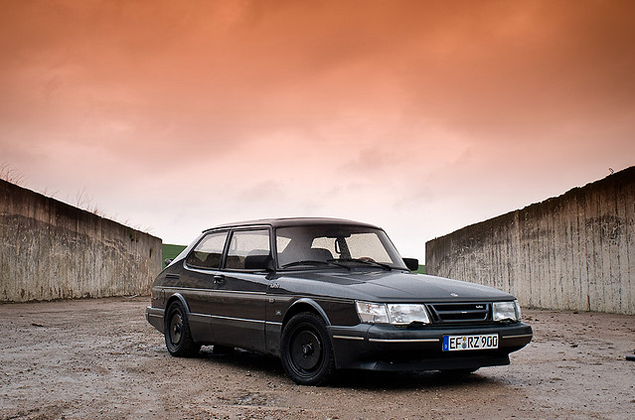 In the pantheon of sweet, turboed cars—the early nineties Saab 900 version still holds a special place in my wounded heart. 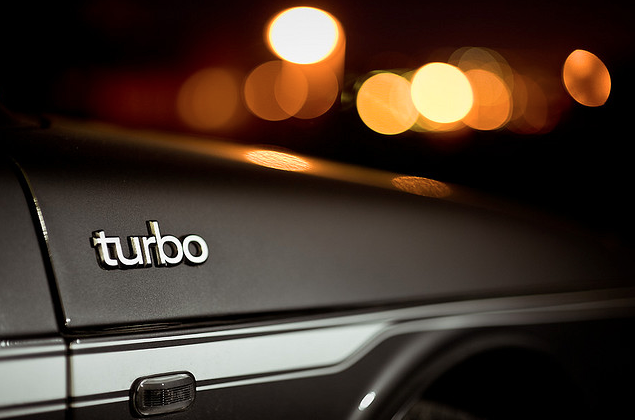 This spectacular photo shoot by bennorz prefectly captures the raw, unfiltered coolness of the 900 Turbo.